Coffee Goddess by day, renegade writer by night. Jen lives in the Midwest and holds a BA in Creative Writing. She blogs in her spare time. No, really. 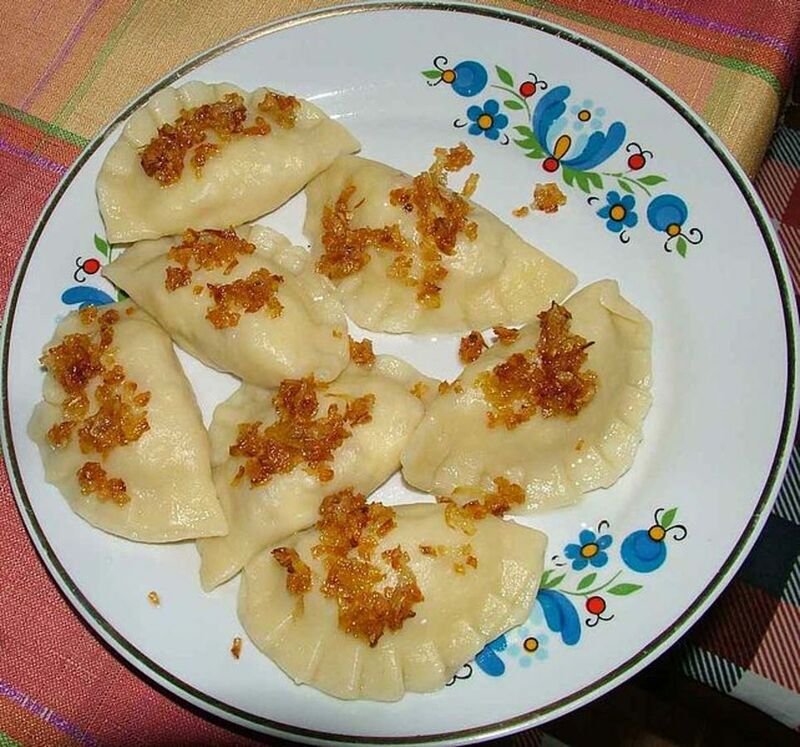 It's a historical recipe that's been passed down throughout my family for generations. Over the years, small things have been added or subtracted, but it all comes down to this. I secretly HATE potato salad. I really do. I won't buy it premade in the store, I don't trust cafe's to make it right, and I don't care if you ARE a five-star restaurant. You don't make good potato salad. This recipe is the only potato salad I'll eat. Period. 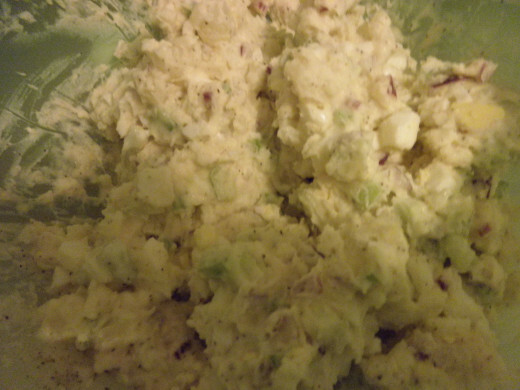 I have yet to find a single person who has tasted my mom's potato salad and NOT said it was the best they'd ever had. 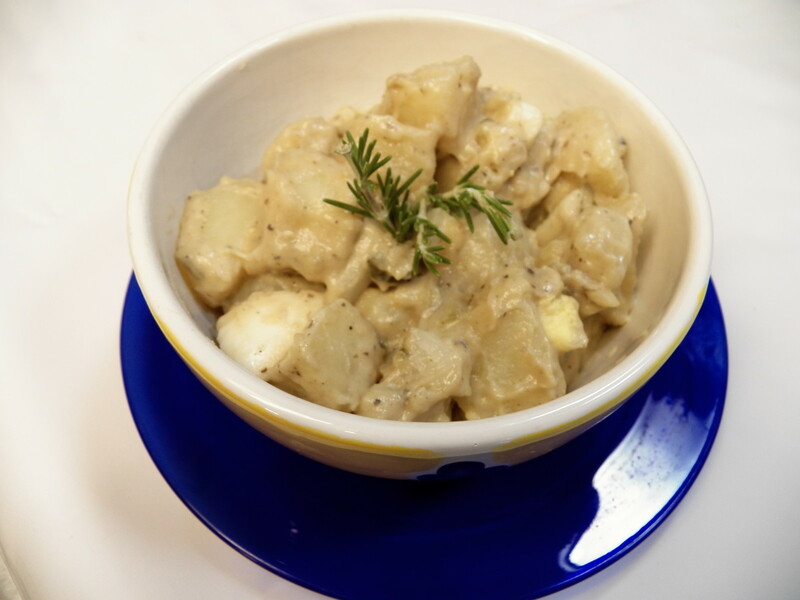 I have friends who don't like potato, or egg, or onion... they'll eat the potato salad from this recipe. My mom taught it to me, her mom taught it to her, and so on. And y'know what? I don't mess with perfection. 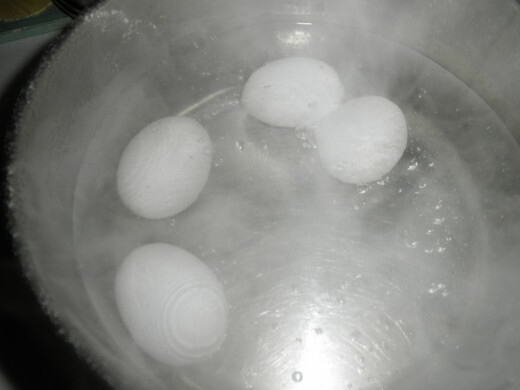 In another pot of COLD water, cook the eggs. 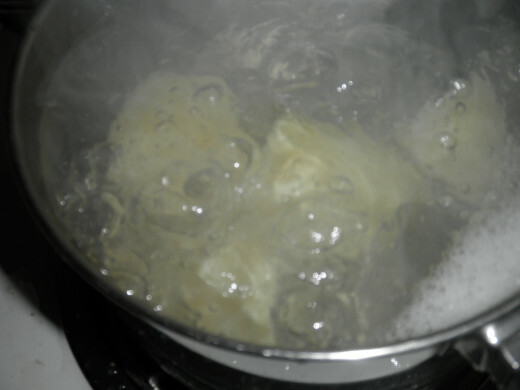 Once the water is boiling, continue to boil for 5-7 minutes. Allow potatoes and eggs to fully cool, rinsing with cool water if you want to speed up the process. 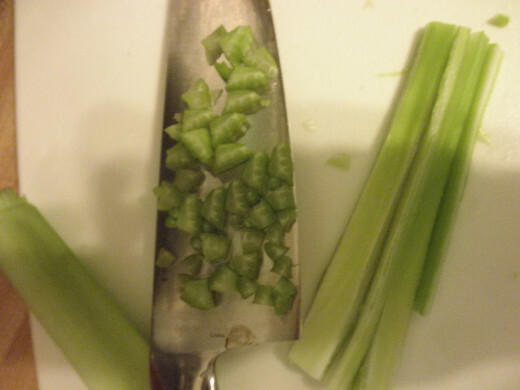 Chop onion, celery, and (if you want it) green bell pepper finely. 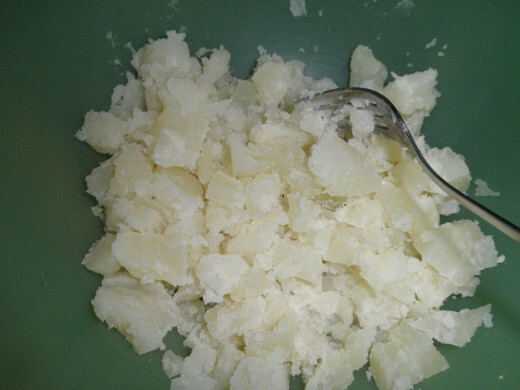 Once cooled, chop potatoes into bite-sized pieces, and (after taking the shell off carefully) the eggs a little smaller than that. 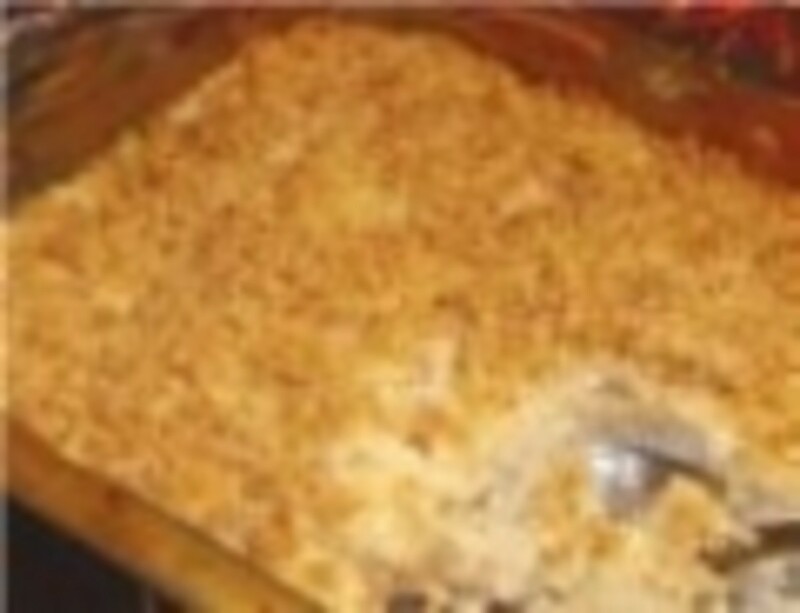 Combine all ingredients in a large mixing bowl or tupperware container. 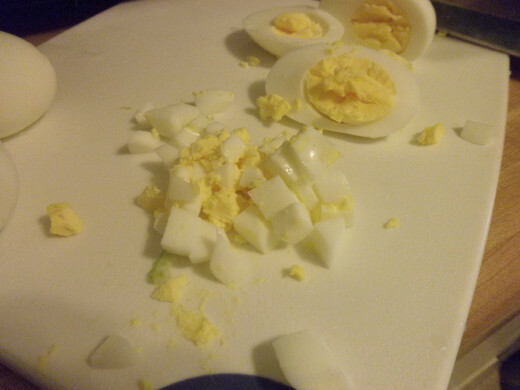 Add mayonnaise, salt, pepper, and garlic to taste. Now here's the tricky part. The Coriander. It's what gives the entire salad it's special abilities, the ingredient that makes the salad. It can also break the salad. 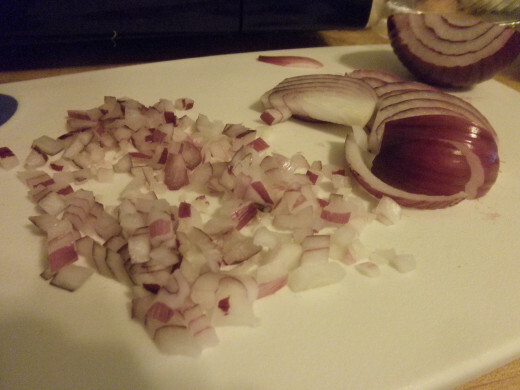 CAREFULLY add just a little bit at a time until it tastes absolutely perfect. All it takes is a little bit too much to ruin the entire thing. Mix all of it together using two large spoons, scooping and almost mashing it until it's all combined. Scoop it onto your plate and enjoy with burgers, hot dogs, vegetarian chicken nuggets, you name it.